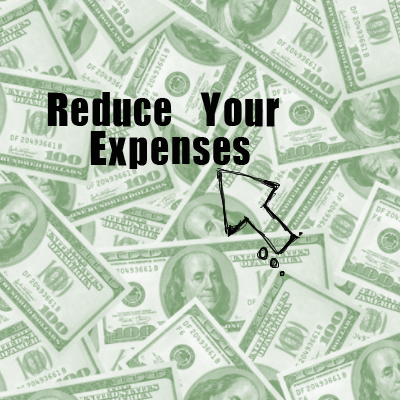 How to reduce your business expenses? 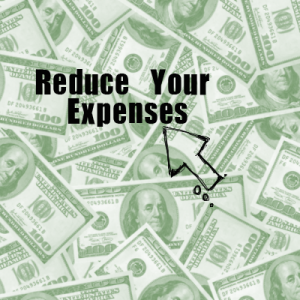 Phonolo's Blog > Marketing > How to reduce your business expenses? The beginning of the new year brings us in a situation where it is becoming increasingly difficult to keep under some kinf of control our company expenses. The volume of the sales is visible reduced, the public works had stagnated, the imports, and by default the exports are almost non-existent. In these conditions it is increasingly difficult for a business to keep herself on the market, and for this a series of measures must be taken, ones that could bring the company back on track. One of the measures over which the entrepreneurs inclines in order to reduce their company costs is the purchase of second hand equipments. There already are a few companies that have turned to the specialized sites in these type of products, and one of the examples could be the used printing machines market, for those who need office equipment, or the second hand market of tools and machines, for the construction segment. So, how can I reduce my business cost with some used printing machines? Well, for those who are not familiar with this type of acquisition phenomenon, let’s say a few words. In fact, in order not to spend your money on a similar product, by puchasing it from the usual stores, you may as well buy it from the oweners who have them, but who don’t need them anymore. In this way, you can save precious money, esspecialy if we are talking about large series of equipments that need to be purchased. Using a familiar market such us www.allforprintmarket.com you can have your product delivered in a few days, and you can pay a lot less than you would of normally had payd. Used products have become increasingly popular, and this reflects in the most areas. The tools and the equipment domain, the ones that otherwise would cost a lot of money, can be purchased in this way at much lower prices, providing a benefit to all involved in the process, and creating a quite beneficial economical circuit. Everyone is happy: the buyer, the seller and the economy, through the running of the liquidityes. Besides the acquisition of the second hand objects, a new money saving tactic seems to be the use of the rented tools and equipment, that can serve our purposes equally as well as buying them, and that can also reduce the costs as much as possible. It is the most clear that in times of crisis you do not necessarily need to cut the personnel expenses by firing the employees or sending them on leave without payment, and neither an economy justified by the minimal power of the lighting bulbs used. The economy shows itself in the things purchased in the best conditions at the lowest prices, and in the investments that reveals themselves as the bestdeal made, even if this means to buy a second hand object that will be refurbished and used as a new one for later. If you are in progress of buying an used printing machine for your office, and you are looking for the best prices, or if you want to have the warranty of a product that is still working and doing a great job, you can look at the best offers of the www.allforprintmarket.com , a specialized serious site, that gives all it’s clients the quality at the most reduces prices. Why should you invest in printing presses? What are the advantages of a flexo printers list? How far can 3D printing services get in US?